The rye whiskey category has been on fire. Last year Bulleit Bourbon launched a rye that literally doubled their sales of whiskey. Many other contenders have entered this space with a wide range of offerings at a wide range of quality levels. Rye grain is expensive and difficult to deal with. On its own, rye grain gets extremely thick and sticky during fermentation, and tends to consume a disproportionate amount of space as it bubbles and foams. Chris Morris, Master distiller with Woodford Reserve, considers his 100% rye offering in his Master’s Collection Series to be one of the most challenging things he’s done yet. To be considered a rye whiskey, you need to use at least 51% rye grain in your mash. Many of the rye offerings on the market stick to this equation, as rye becomes easier to deal with the more corn you use along with it. Unfortunately, in many cases, using so much corn tends to overtake some of the more delicate qualities of a rye, mainly the light floral and subtle spice notes. Rye whiskeys are often spicy, but not delicate. Knob Creek Small Batch Rye Whiskey (50%, $39.99) comes from Jim Beam, which has played in the rye space before with R1 Rye Whiskey. With R1, Jim Beam focused more on deep, sweet cinnamon notes and less on the lighter rye spice. R1 also came in at a whopping $50 a bottle. Now with Knob Creek Small Batch Rye Whiskey, Beam has come back to the rye space with a completely different approach, strategy, and price point. 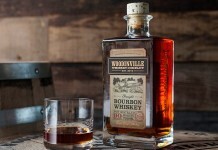 The rye grain is the complete focal point of this amazing whiskey. Immediately from the nose you can pick out the fresh, light rye aroma. Even though this whiskey is 100 proof, there is absolutely no fire or burn on the nose. Underneath the rye notes is a nice sweet cinnamon along with an undertone of oak. Everything here is in perfect balance. The entry is soft and supple, with no blast of heat or spice to cover up the lovely floral rye. From the soft, light floral rye tones you get a slightly herbal note, followed by deep, sweet cinnamon, caramel, and a beautiful integration of oak. Everything comes together perfectly in the mid palate and none of the flavors get lost. Toward the finish this whiskey picks up a little heat and some nice spice, but not enough to overtake the light floral rye spice, the cinnamon, or the oak. The finish is long and flavorful. Rye flavors are clear, present, and dominant on the finish and linger with a light tingling on the tongue for a very long time. It’s so refreshing to see a company celebrate the complete range of flavors that rye can deliver. Knob Creek Small Batch Rye Whiskey delivers such an amazing taste experience that it clearly ranks among the best rye whiskeys on the market. 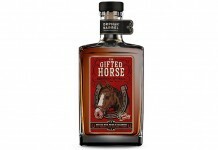 It’s also one of the easiest 100 proof whiskeys we’ve had the pleasure of drinking. To top it all off, $39.99 a bottle for this super whiskey seams like an absolute steal, especially compared to Beam’s previous R1 offering. 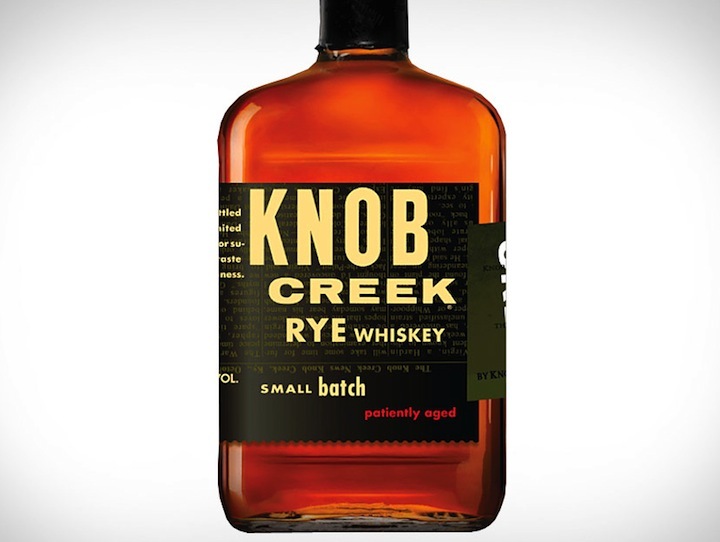 The biggest problem with Knob Creek Rye is its availability. It’s slowly rolling out in markets across the US, and when people discover it, we expect inventory to be quickly snatched up. 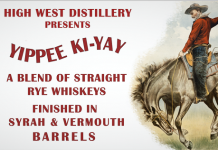 It’s hard to think of a more enjoyable sipping rye that is more approachable than this one. Simply superb.